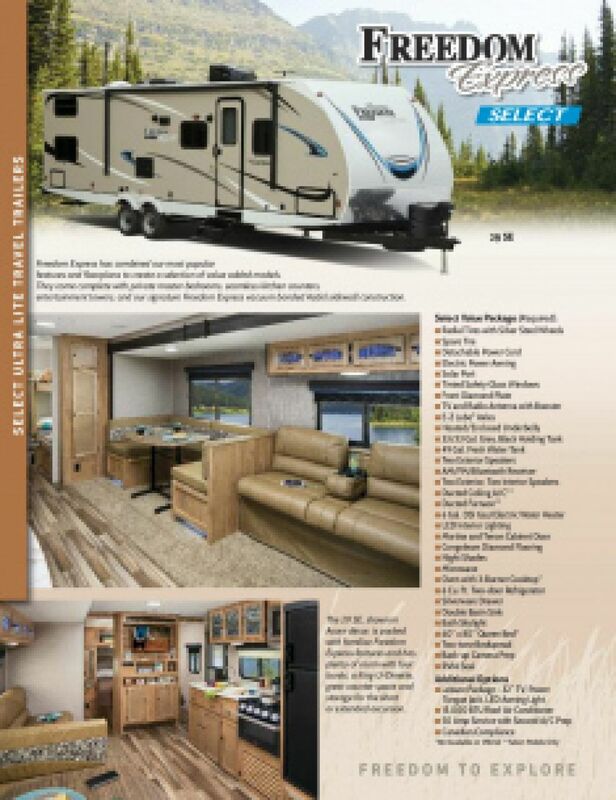 No matter what season it is, you and your family will have a blast traveling and camping in the 2020 Coachmen Freedom Express Select 29SE! You can find this Travel Trailer and other beautiful models at Gillettes Interstate RV, one of the top Michigan RV dealers! If you're planning a trip to East Lansing, stop by our site at 7210 E Saginaw St East Lansing Michigan 48823! To talk to our Coachmen Freedom Express Select experts, call us now at 517-339-8271! With a hitch weight of 639 lbs. and a sturdy GVWR of 7600 lbs, this RV is easy to take on long road trips! The 16' 0" power patio awning provides shade and UV protection for outdoor fun! When your fun-filled day comes to an end and it's time to turn in, you'll enjoy a great night's sleep in the spacious master bedroom! It has a comfy Queen bed and handsome furnishings that make using this bedroom a pleasure! There's enough sleeping space for up to 10 people! Enjoy home-cooked meals away from home with the kitchen! Inside there is a 6.00 cu. ft. refrigerator and a 3 burner range cooktop. The sink has plenty of clean drinking water with the 49 gallon fresh water tank. 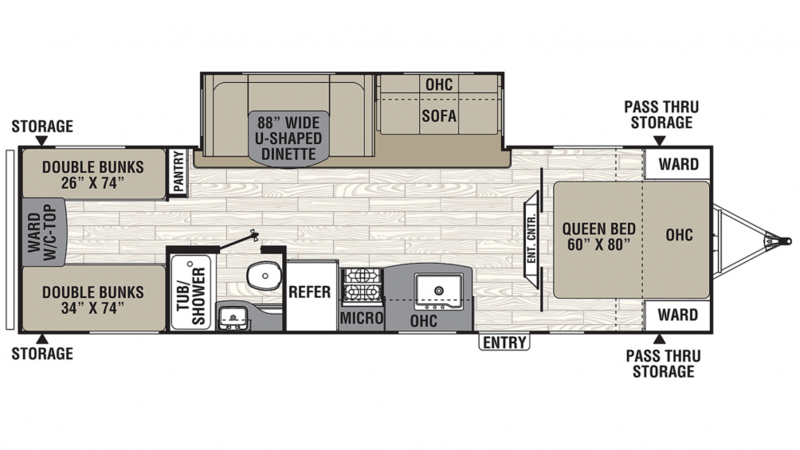 All of the members of large families can sleep well inside the Coachmen Freedom Express Select 29SE, thanks in part to the bunkhouse's Quad Bunkbeds!